Silver Touch Technologies is delighted to have been awarded ‘Best Performance Growth 2016’ at the SAP SMB Innovation Summit on 15th March 2017. The prestigious ‘Best Performance Growth Awards’ are established to highlight and celebrate the excellent performance and results achieved by the leading SAP Software providers across the globe. This award is only awarded to SAP Partners with proven competencies in selected solutions or industries. 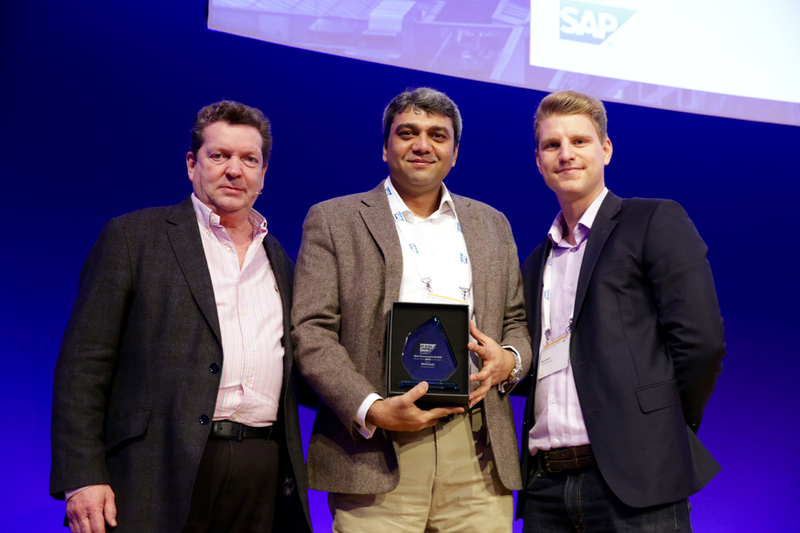 Silver Touch Technologies, a trusted SAP partner and advisor, won this award for demonstrating solution expertise and delivery capability. This award is a great accomplishment for everyone in the UK team and reflects some of our achievements over the past twelve months. For over 25 years, Silver Touch Technologies have been delivering innovative, industry-specific SAP Business One solutions in partnership with the world’s leading ERP provider, SAP. SAP Business One is affordable, intuitive, adaptable and easy-to-use business management software, designed specifically for small and medium-sized businesses. It enables you to manage all your business functions with a single integrated system. As a leading SAP Partner, we have the right knowledge, expertise and solutions to maximise your investment in SAP Business One.